A black comedy of manners about vast wealth and a woman who can define herself only through the perceptions of others. The beautiful Lily Bart lives among the nouveaux riches of New York City – people whose millions were made in railroads, shipping, land speculation and banking. In this morally and aesthetically bankrupt world, Lily, age twenty-nine, seeks a husband who can satisfy her cravings for endless admiration and all the trappings of wealth. But her quest comes to a scandalous end when she is accused of being the mistress of a wealthy man. Exiled from her familiar world of artificial conventions, Lily finds life impossible. Edith Wharton was born Edith Newbold Jones on January 24, 1862, during the American Civil War. Wharton published her first short story in 1891; her first story collection, The Greater Inclination, in 1899; a novella called The Touchstone in 1900; and her first novel, a historical romance called The Valley of Decision, in 1902. The book that made Wharton famous was The House of Mirth, published in 1905. She died in 1937. Lily Bart knows that she must marry--her expensive tastes and mounting debts demand it--and, at twenty-nine, she has every artful wile at her disposal to secure that end. But attached as she is to the social world of her wealthy suitors, something in her rebels against the insipid men whom circumstances compel her to charm. mately do her the honor of boring her for life?" Lily is distracted from her prey by the arrival of Lawrence Selden, handsome, quick-witted, and penniless. 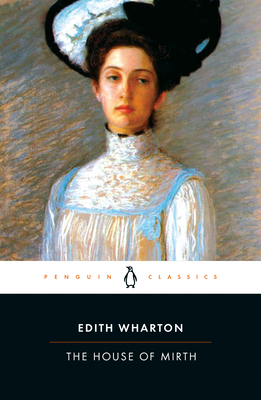 A runaway bestseller on publication in 1905, The House of Mirth is a brilliant romantic novel of manners, the book that established Edith Wharton as one of America's greatest novelists. 1920 for The Age of Innocence. But it was the publication of The House of Mirth in 1905 that marked Wharton's coming-of-age as a writer.